Published: May 21, 2012 at 12:47 p.m.
Wes Welker has produced some unbelievable numbers in his Patriots tenure, but how much of it is the system? Wes Welker is one of the most prolific pass catchers in NFL history, but the New England Patriots would be wise to not break the bank for his services going forward. Not that I'm opposed to Welker receiving a hefty contract that rewards him for his extraordinary production over the past few seasons. I'm merely suggesting the Pats proceed with caution before signing their top receiver to a lucrative, multi-year contract that places him among the highest paid at his position. 1. The age issue looms large. In the NFL, the age of 30 represents the tipping point on most players' careers. At that point or shortly thereafter, the speed, athleticism and production of even the game's best players starts to decline. Teams rarely see a positive return on their investment after signing a player over 30 to a lucrative deal. Just look at the plights of T.J Houshmandzadeh and Hines Ward -- two former Pro Bowl receivers whose production rapidly declined once they reached their early 30s. 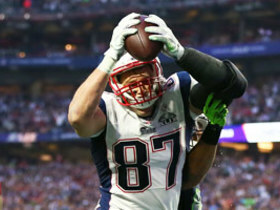 Although Welker didn't show any signs of slowing down in 2011 -- leading the NFL in receptions (122) and finishing second in receiving yards (1,569) -- he is nearing a stage in his career when most pass catchers start to lose a step and find it increasingly difficult to get open consistently. Given the fact that Welker's game is built solely upon his quickness and short-area burst, it is only a matter of time before he is unable to consistently gain separation from defenders out of breaks. In addition to the diminishing physical skills that players over the age of 30 begin to exhibit at the twilight of their careers, teams worry about mounting injuries. In looking back at Welker's most recent injury history, it is important to note he is only two-plus years removed from a torn ACL and battled through an assortment of minor injuries down the stretch last season. While his toughness and resiliency certainly are admirable, the fact that he is beginning to wear down physically should factor into the equation when considering a long-term commitment. 2. It's the system, not the talent. That statement is not meant to slight Welker's outstanding accomplishments as a Patriot, but his production should be taken in proper context when determining his contract value. While he has amassed 100-plus receptions in four of the past five years, he has benefitted from playing in an offense directed by one of the greatest quarterbacks in NFL history. Tom Brady will go down as one of the top two or three quarterbacks in modern history (if not ever), and his ability to raise the level of play of those around him is unparalleled. 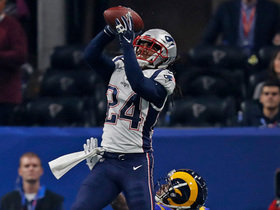 Just consider the plights of Deion Branch, David Givens, David Patten and others who have thrived in the Patriots' system before becoming afterthoughts in other offenses. Branch, in particular, is the perfect example to consider when contemplating Welker's impact against his financial considerations. During Branch's initial tour of duty with the Patriots, he won a Super Bowl MVP and emerged as a legitimate big-play threat as the team's designated go-to receiver. However, when Branch departed for greener (more lucrative) pastures and a No. 1 role in Seattle he failed to play up to expectations and looked like a rather ordinary player. Interestingly, he returned to New England in the middle of the 2010 season and instantly regained his productive ways as a starter with Brady hurling pinpoint strikes in his direction. 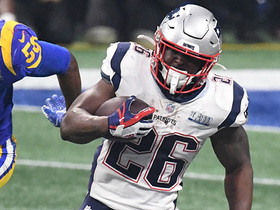 Although some of Branch's success could be due to his return to full health, it is not a coincidence that his game routinely flourishes when Brady is at the helm. In Welker's case, he is a far more productive player in the Patriots' system -- his impact as a slot receiver is unrivaled in the league. Last season, he converted 63.1 percent of his 122 receptions into first downs, amassing career bests with 21 catches of 20-plus yards and nine touchdowns. In a league where the passing game is built on the premise of producing touchdowns, big plays (receptions of 20-plus yards) and first downs, the presence of an effective pass catcher between the hashes is a tremendous asset. But the case could be made that Welker has been effective due to the extraordinary talent around him. During his first three seasons in New England, Randy Moss acted as the Patriots' No. 1 receiver and every opponent entered the game intent on rolling coverage in his direction. The emphasis was on taking away the deep ball, forcing Brady to dink and dunk to Welker on underneath routes. While Welker was certainly capable of hurting the defense between the hashes, the thought of letting Moss run through the secondary on a vertical route led many defensive coordinators to live with allowing the Patriots to freely target the underneath areas of coverage. Last season, the emergence of Rob Gronkowski and Aaron Hernandez as the NFL's top tight end tandem provided Welker with plenty of space between the hashes. Opponents would direct double-coverage toward Gronkowski or Hernandez, leaving a nickel corner isolated over Welker in the slot. With Welker given the freedom to find a vacant area over the middle of the field on an assortment of option routes, the Patriots' offense routinely boiled down to a game of pitch and catch between Brady and Welker inside the hashes. With the system, quarterback and supporting cast creating terrific opportunities for Welker, the Patriots must view his production with proper perspective. 3. There is a huge difference between a slot receiver and a true No. 1 receiver. There is no doubt that Welker is the top slot receiver in the NFL, but that doesn't make him a legitimate No. 1 receiver. No. 1 receivers should be able to impact the passing game at every level, with their presence on the field demanding double-coverage from the opponent. In spite of the extra attention, No. 1 receivers continue to make plays and their ability to thrive as designated anchor of the passing game fuels the offense as a whole. In evaluating Welker, I would classify him as a role player, rather than as a legitimate No. 1 receiver. He is a middle-of-the-field specialist who excels on short crossers and option routes. His combination of quickness and precise route running is problematic for slot defenders, particularly nickelbacks who are traditionally the third-best corner on the roster. While Welker has become ultra-productive in his role, he certainly doesn't provide the kind of game-changing impact of Calvin Johnson, Andre Johnson or Larry Fitzgerald. Prior to last year, Welker averaged only 10.5 yards per catch while producing 9.25 receptions of 20-plus yards per season during his first four years in New England (2007-10). Although that's not bad production for a possession receiver, it is not the kind of output that typically garners significant money on the open market. Just compare his numbers to those of Calvin Johnson (16.0 yards per catch and a yearly average of 21 receptions of 20-plus yards), Andre Johnson (14.5 and 17.5) and Fitzgerald (13.9 and 17.7), and you clearly see the difference between a slot receiver and an elite No. 1 receiver. 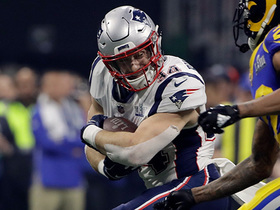 Given that alone, the Patriots should hold firm on their contract proposal and not overpay for a receiver who is truly a role player on an exceptional offense.